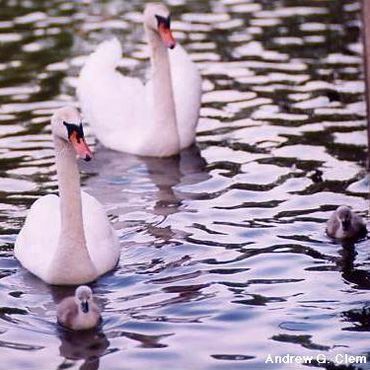 Urge Maryland Department of Natural Resources Not to Kill Swans ! TAKE ACTION ! Thank you for supporting us on this issue. Please consider inviting your friends to support us as well. Noted and gladly signed with a few added comments. Thnx Cher! Noted and signed. Thanks Cher. That is so lame. I just found out of the news that Orlando, Florida is killing 200 ducks Monday because the people say they are ruining their homes. Can they not all co-exist if they try hard enough? There are things that people can do to keep the vegataion on the bottom also. I am signing. Thanks Cher. Definitions of mute on the Web: a deaf person who is unable to speak, expressed without speech; "a mute appeal"; "a silent curse"; "best grief is tongueless"- Emily Dickinson; "the words stopped at her lips unsounded ... muffle: deaden (a sound or noise), instrument dumb: unable to speak because of hereditary deafness.. IT LOOKS LIKE DNR IS MUTE, NOT THE SWANS� Don�t they know anything about anything? The Maryland Department of Natural Resources must stop killing swans! Again a weak excuse for the murdering of these beautiful, innocent birds. "...mute swans have little effect on the loss of aquatic vegetation in the bay compared to the devastation caused by boats and the pollutants dumped by factory farms and sewage treatment plants." People destroy more vegetation than they do... maybe we need to be killed ? Murdering beautifull animals for some missing plants... this is indeed insane ! Noted and signed with thanks Cher. There�s already an angry response from the swan killing side. You can send your own letter to letters@baltsun.com. You can comment at http://voices.washingtonpost.com/local-opinions/2009/06/stop_killing_the_chesapeakes_m.html if you are a registered (free) online user of the Post.